Anyone going on a much-needed vacation usually goes through a barrage of brochures, looking for any short term accommodation available at a given destination. The thing is, with options limiting you to rundown hotels, inns and the like, you sometimes feel like all vacations are pretty much the same. Wouldn’t it be simply awesome to experience being a local in whatever destination you’re off to? Your travel experience would go up a notch if you’re able to bask and revel in the local flavor without feeling like an impressionable tourist. Good thing there’s such a thing as Roomorama. 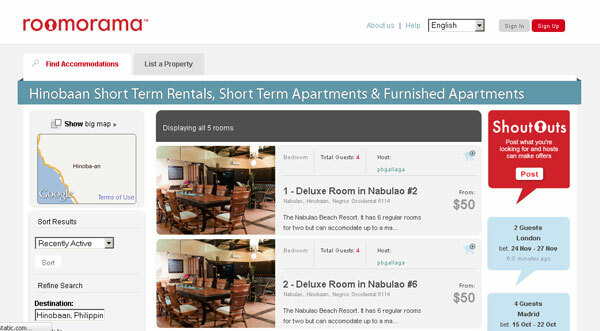 Roomorama is an online portal which provides the weary traveler with more than 400 destinations for short term rental of a host’s private space. Roomorama connects the traveler to a host who is willing to have his living space rented out for a short period of time. Instead of the usual hotels, we’re talking about condos, homey apartments and cozy flats. New Yorkers Jia En Teo and Federico Folcia gave birth to the idea of Roomorama. They used to rent out their apartment to be able to fund their frequent travels. 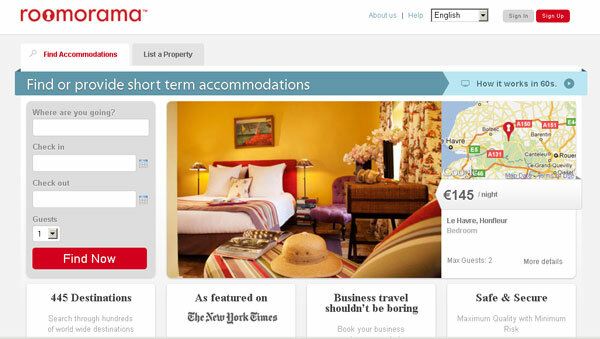 Finally, they decided to come up with Roomorama to fulfill their dream of giving other travelers the opportunity to experience what it’s like to be a local in their chosen destination. What’s unique about Roomorama is its secure payment scheme. Instead of gambling with the risk of meeting with the owner to pay him upfront, payments are securely held by Roomorama. You pay through credit card or PayPal. But before payment is directed to the owner, Roomorama gives you, the buyer, a payment code, which you then give to the host upon check-in. This means, you can first examine the place, and give the owner the payment code only after you find yourself fully satisfied with the accommodations. Another good thing about Roomorama is that it regularly teams up with local establishments to give you the best possible deals in dining, shopping and other attractions. Now I’m no longer stressed out with the idea of booking a place to stay on my next vacation. With Roomorama, I have the chance to feel at home, even when I’m miles away from my nosy next-door neighbor. This entry was posted in Tourists destination, Travel, Vacation spots and tagged hotel, lodging house, roomorama, short term accomodation, short term rental on September 3, 2011 by Yami.